Technomix Ltd. – the specialist for visual examination procedures – is based in Plzeň, Czech Republic. The main performance feature of our company is the manually performed selection. At first stands the conforming to standards examination of safety critical components and finished parts. Higly qualified staff, special precision devices, state-of-the-art technology and transparent process flows guarantee our high quality standards. 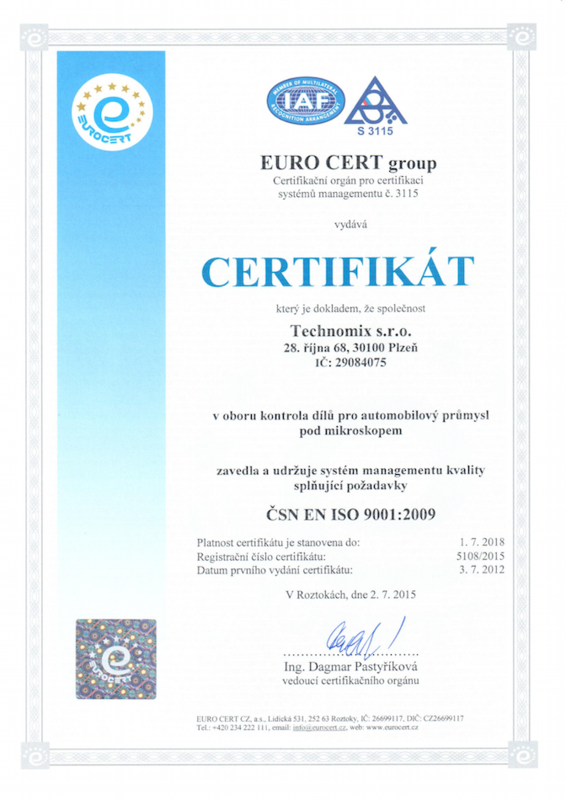 Technomix Ltd. received the certification ČSN EN ISO 9001 for this company standards. Technomix Ltd. acts as provider for domestic and international acting companies for the metal processing industry. The productive capacity is approximately 25 million examined pieces per annum.